Welcome to the Juicestorm Radio Podcast Every Friday at 2pm here. Featuring interviews with traders, software vendors and experts in sport. Steve Taylor is a sports trader and accredited exchange course presenter who is currently working as a trader Ladbrokes/Corals. This week he walks us though some tips for the upcoming Ascot Festival. Read Steve’s Juicestorm Articles and check out our Ascot Coverage too. Darren Hall founded Bet72.com over 10 years ago. He was one of the earliest matched betting websites. Darren can show you the daily profit potential in matched betting. His website will help you find free bets which are totally risk free. Darren really does provide the best way to find out about the latest offers and bonuses. 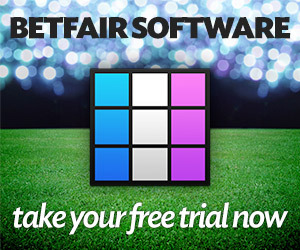 Read about Bet72.com here and check out our Matched Betting Section too. Tony Hargraves, better known as “The Badger” around trading circles started trading in 2004, after a friend requested he find a way to back all events in a match and win regardless of the result. Tony has a chat with us on the difficulties in scalping, how automation is changing the landscape and sports trading in general.